#8 The last book you finished? #15 Long or Short Books? Secondly I didn’t quite find the love story of Brianna and Roger as captivating as Claire and Jamie’s. But I have spent all night and morning thinking about the book so I am no doubt hooked. Have you read the Outlander books? How do you feel about big big books?? 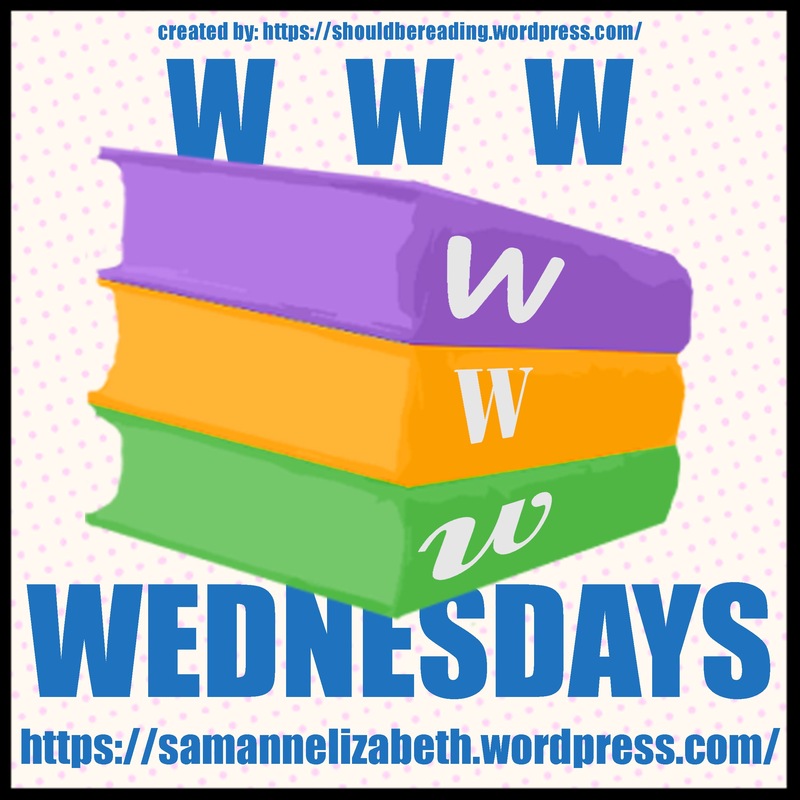 WWW Wednesday is a weekly meme hosted by Sam at Taking on a World of Words. It’s fun and simple, you just have to answer the three W’s: What are you currently reading? What did you recently finish reading? What do you think you’ll read next? You can also join by answering and linking your blog post back on Sam’s post. I also finished The Luminaries by Eleanor Catton somewhat recently after a mammoth effort – the thing about audio books is you don’t know how big they are (page wise) when choosing and this one was a 700 pager! The Messenger by Markus Zusak, our next bookclub book. I’m pretty keen to get into Outlander #4 too! Graeme Base’s Little Bug Books very cute, cool opening flaps and my 4 year old loved finding the bug! I’m sure it’s still Wednesday somewhere!! Instead of blogging last night, (and going straight to bed which was my first plan when I got home from work!) I read. I’ve almost finished a book so only planning to publish this when its done! **edit just wanted to add I was impressed with how close the series was to the book, main difference for me was the character of Alec Macmahon, who was aptly replace with Murtagh in the series. Plus I loved being able to read more about the brothers Colum and Dougal. Currently reading: So now that’s finished I should get back to ‘Exposure’ except I’ve passed the library copy I had on to a fellow book-clubber and am still awaiting my own delivery. Instead I will start reading the book she gave me – ‘5 ways to be famous now‘ by Maurilia Meehan, January’s book club choice. I have read the first line to ensure I’m not lying in this blog! Reading next: I’ll have to get back to Exposure and I’ve still got Contance Hall’s book but I’m thinking I might get to something else from my piles around the house or else as away on holidays next week I may broach Ken Follett’s Pillar of the Earth. I’ve read and enjoyed his Century trilogy and this would be a good pick for my When are you reading? challenge. Last Saturday night I sat on the couch with a dear friend and we started watching Outlander. I’d bought volume one and two that day, 2 for $40 – go me! I’d heard about it from cousin last year and recently tried to start it at a friends house on Netflix but alas the cherubs had interrupted. Sunday I woke up sick although not too bothered. I thought I’d be able to stay home while Hubby took the kids to church but no he didn’t feel up to that challenge by himself so I simply slept the day away. And then stayed up all night watching. Was nice to think to myself it was school holidays so surely I wouldn’t suffer too much for a late night, hmmm. So four days later I was still feeling nauseas and bought a pregnancy test to pee on in the public restrooms while taking a lunch break at work – negative PHEW. I went from terrified I might be pregnant, to trusting God knew best, to seeing it all as a confirmation that I don’t want anymore children. Even if my boy is terribly cute with babies. Anyway back to Outlander – I finished the season and LOVED it. Strong-willed woman meets handsome outlaw Scotsman, my review in under 10 words. Now I want to read the books – although I am current reading Magda’s memoir for bookclub and was going to start re-reading Tomorrow When the War Began (John Marsden). Book dilemma’s…. So that’s my week in a nutshell Outlander, Sickness and which book next? well you know plus kid wrangling, work, cleaning, washing….